Stakeholders in Ndokwa Nation have continued to lament the high level of greed among Ndokwa leaders which led to the underdevelopment of the area over the years, Our Delta North Correspondent reports. This assertion was made weekend in Kwale, Ndokwa West Local Government Area, during the meeting of the Ndokwa Clans President-Generals Meeting, which saw the inauguration of the Board of Trustee members, and patrons and Patronesses. Delivering a paper titled: “The Siege of Corrupt Leadership” by Pastor Festus Ochem, an Oil Industry Expert, attributed the high level of underdevelopment of the three local government areas of Ndokwa to a leadership structure that has a policy to continuously marginalize the people of the area, in connivance with the oil companies operating in the various communities. The various stakeholders present, in the same vein, asserted that until the leadership of the communities and the various political leaders’ change their way, Ndokwa land will for a long time remain underdeveloped and remain marginalized. They decried the unholy relationship between the Community Development Committees, (CDC) in the area and some of the elected political office holders, concluding that they are all working against the good of the people of Ndokwa. 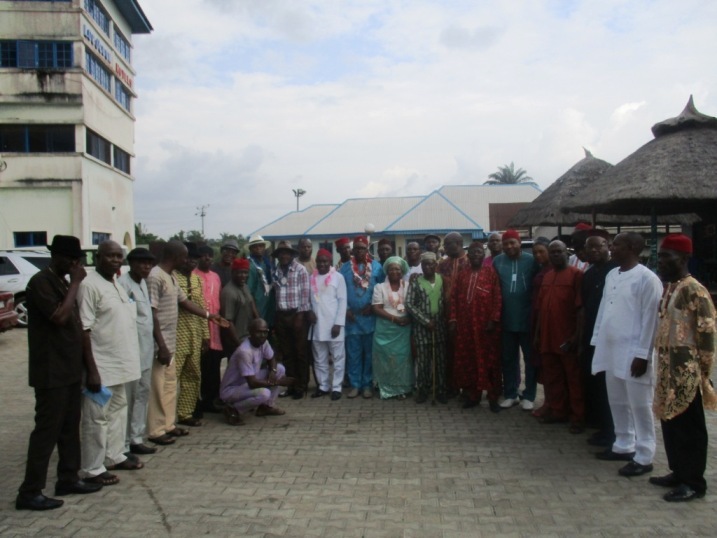 The stakeholders called for the change of attitude of leaders, saying their goal is to lead the area to a proper development and not to subjugate the people to more hardship. Meanwhile, Ndokwa Clans President Generals Association, Prince Igwe Nzekwe in his speech, with the formation of the Association of Ndokwa Clans President Generals, the 37 clans of the area will witness a light of development, as the group is the true representatives of the people. “Very Soon Ndokwa land will be speaking as a people with one voice. I am happy that our dream is coming to pass”. He stated. He further said the association has picked some of the best among the sons and daughters of Ndokwa to be members of the Board of Trustee, because of their experience to achieve the goal of leading the Ndokwa people out of underdevelopment and bad leadership. He reminded the people of Ndokwa that they are united in blood, and they have to work together to liberate the area. Continuing, “when we started this journey some people were laughing but when I remembered how I contested election in Jos and won. I Use my position to bring non indigenes together to have one voice, the position that promoted me to become the Supervisor for Works and Transport, Land and Survey in Jos, North Local Government Council. I asked myself why can't I do the same in my own land? This encouragement sustained us to reach this day. With the timber and caliber of persons we have today as Board of Trustees, tested and trusted, Ndokwa land is covered. The journey is still on.” He added. The Patrons/ Patroness are: Dr. Dele Omenogor, Ukwuani local government, Chief Lucky Onyenike, Ndokwa West and Chief Mrs. Charity Odili, Ndokwa East Local Government Area. The inaugurated BOT members are: General Mike Nduibisi (Rtd.) Rt. Hon. Olise Enebeli Imegwu, Mr. Chuks Ochonogor, Engr. GOC Amuchi, Mr. Austin Avuru, Prince Igwe Nzekwe, Chief Samuel Oshimili, Chief Ike Ijeoma, Chief Charles Enuma and Chief Mrs. Charity Odili.